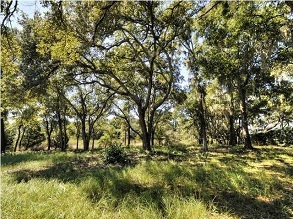 It can be difficult and expensive to find vacant land in Charleston that is suitable for building a home. Most of the lots within 15-20 minutes of Downtown Charleston that are clearable and large enough to build on have already been developed over the years. The areas closest to the city and the beaches with good options still available include Johns Island, Mount Pleasant (past Hwy 41), and West Ashley (past I-526). Many buyers who originally look to purchase vacant land with intentions of building a custom home end up choosing a new construction home by a local or national builder in a community. In price ranges under $500K, this route usually gives you more home for the money and offers more flexibility in your pricing.